Lucky Charms, the General Mills cereal of frosted toasted oats with marshmallows, has done what many used think was the impossible by creating a marshmallows-only cereal. Back in 2015, 10 people won the first version of Lucky Charms' "Marshmallow Only" cereal through social media. But now, Lucky Charms has done it again with a lot more winners and a lot more marshmallows. First of all, you won't find a box of Lucky Charms Marshmallows on the shelf at your neighborhood grocery store. You'll still have to earn it through a contest, but this time there will be 10,000. In order to win, you first have to buy a specially-marked box of Lucky Charms that includes a 14-digit code on the inside back panel. You then enter the code at MarshmallowOnly.com to see if you are one of the 10,000 lucky winners. 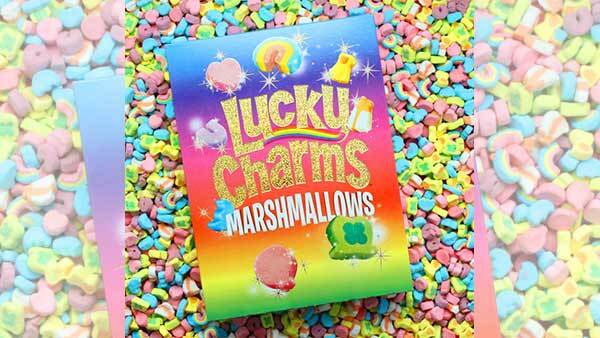 Here's some more official information from General Mills: "Lucky Charms' specially-marked boxes for this promotion will be available on store shelves across the U.S. soon, with limited distribution, and will be more widely available in a few weeks. The sweepstakes will run through December 2017."